This is going to be a super quick post. I have a sizable retouching backlog on my plate right now, and Christmas is about to catch up on me (Last minute shopping in Dublin City centre - shudders). Anyways, here's some more portrait photography that I thought I'd share...Steven Peice came into my studio last weekend for a few test shots. 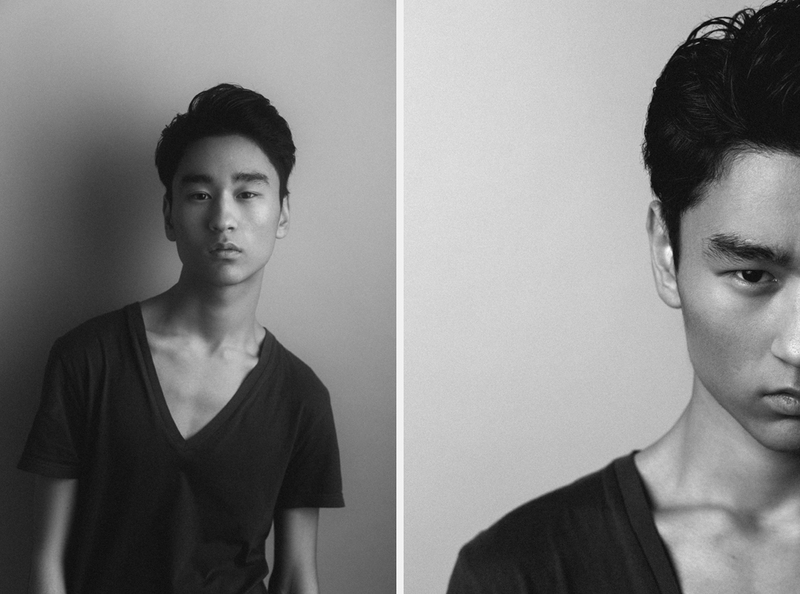 He's relatively new to modelling, but you certainly wouldn't think so by looking at these images. I gave Steven a few pointers and showed him a few inspiration images before shooting. He then proceeded to completely exceed my expectations. It's great to see a new young model take to things so well. I should also point out, this was his first time in a studio. So, y'know, fair play to him and all that. I actually shot a lot of these images on a pink background, just for something a little different, but I ended up preferring them in black and white, so here they are. I may share some of the colour images on my Facebook page some time soon. Ok, I'll be off then. I probably won't have another post up until after the New Year ( if civilization makes it that far, I will likely be two tons heavier as result of a selection box overdose), so I'll take this opportunity to wish everyone everywhere a great Christmas and a happy and healthy New Year. If you have any comments or questions about these images, drop me a comment down below, or catch up with me on Facebook.